The Xpress Transport Protocol (XTP) is a next generation transport protocol specifically designed to support high-speed networks and multimedia applications. XTP is a new standard which meets the data transfer requirements of many real-time systems. XTP is prescribed as the real-time option at Layer 4 for the US Navy’s SAFENET LAN Profile. 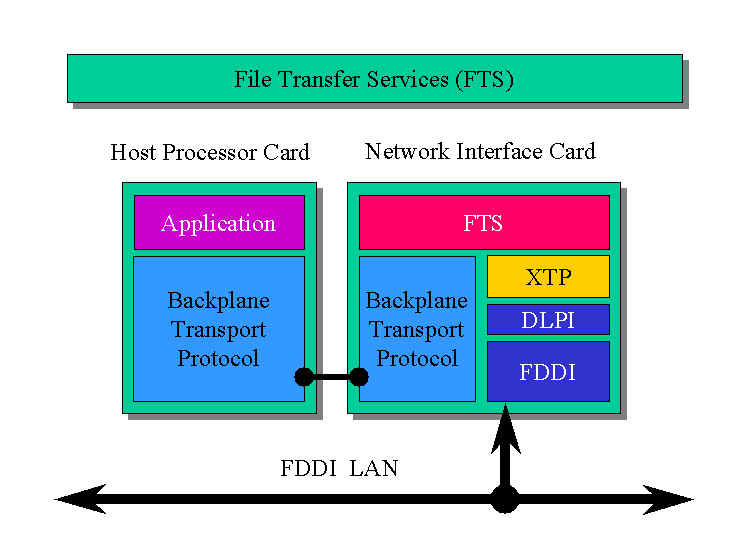 XTP's flexible transfer capabilities, in conjunction with an underlying high-performance network technology such as FDDI or Fibre Channel, provide good support for the implementation of event-type, real-time distributed systems, in both LAN and internetwork topologies, while retaining guaranteed response service. XTP was designed to provide a wide range of communication services built on the concept that orthogonal protocol mechanisms can be combined to produce appropriate paradigms within the same basic framework. Rather than using a separate protocol for each type of communication, XTP's protocol options and control of the packet exchange patterns allow the application to create appropriate paradigms. Error control, flow control and rate control are each configured to the needs of the communication. Due to its efficient control and error handling algorithms, combined with its ability to operate over IP, XTP is able to provide performance gains even when acting as a transparent replacement for TCP, UDP, Appletalk, IPX and other existing networking protocols. Especially in congested networks and over high-speed networks, XTP provides significantly higher throughput than TCP while maintaining lower bandwidth and CPU utilization. XTP supports prioritization of packet processing at both the sender and receiver using pre-emptive priority scheduling. C²I² Systems’s XTP has been ported from Mentat, Inc.’s XTP for STREAMS for the VxWorks real-time operating system. XTP has been attracting extensive attention as the most suitable protocol for ATM applications. XTP also provides a wide range of options to allow applications to specify the service they need, making XTP attractive for multimedia and other applications constrained by the limitations of current protocols.